- Steel finger proof guard. - ON-OFF electrical isolation switch fitted. - 20ﾺC up to +40ﾺC. 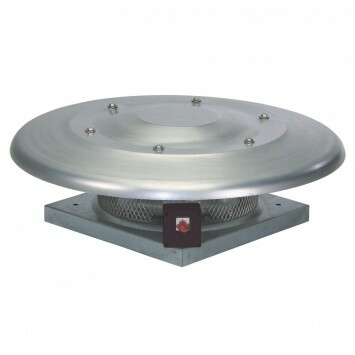 - Fan speed adjustable with the potentiometer placed in the connection box or with an external control type REB ECOWATT. - Analogical input with terminals in the terminal box to control the fan with 0-10V input signal. Brushless EC motor, IP44, with thermal overload protection, suitable for single phase supply 230Vﾱ15%/50-60Hz.